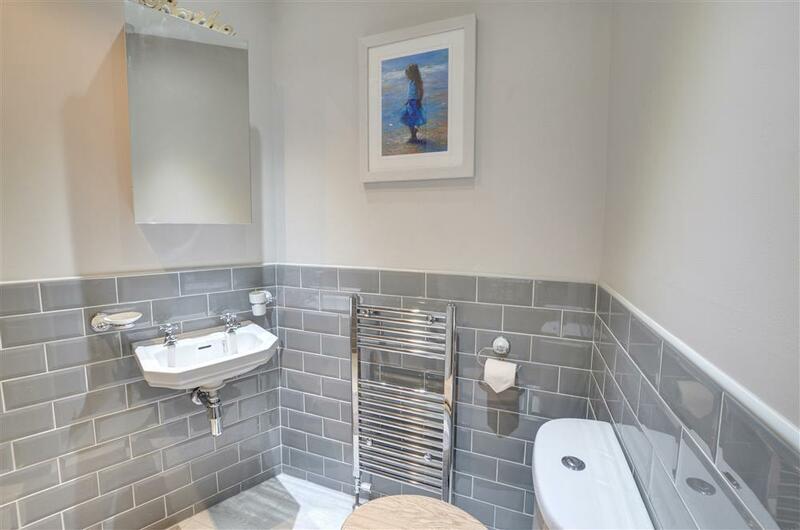 Treat yourself to a cracking home from home. Bakehouse Cottage in Sunny Place Robin Hoods Bay is a curl-up-with-a-book place with the North Sea just round the corner crashing against the sea walls.When the tide retreats the beach is a world of rock pools, fossil hunting and numerous coastal walks await; the Cleveland Way passes right by and the Coast to Coast walk starts (or finishes) at the Bay Hotel. We can’t promise you the Old Bakehouse oven (still in situ) will be able to make fresh bread as in the past. Locals, until the turn of the century, would bring their Sunday roasts for the baker to cook for a few pence, once he had finished baking bread. It was all the fisherfolk had in those days and saved the cost of owning an oven. 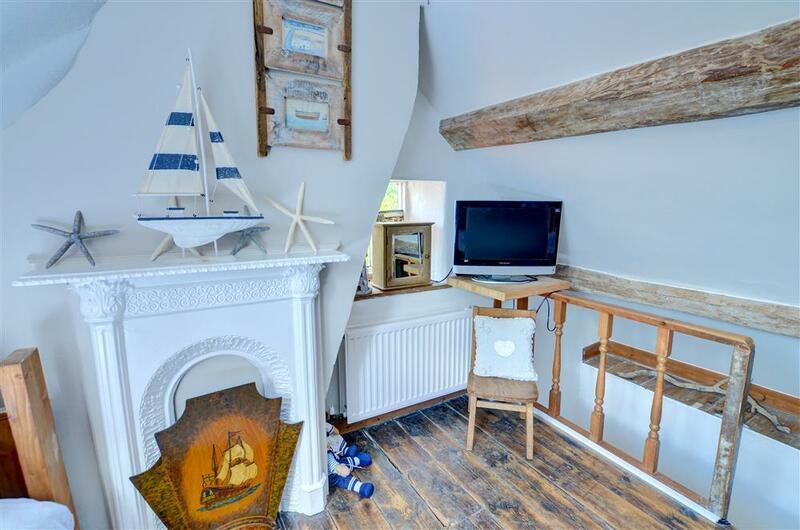 This Cottage was chosen by The Sunday Times as no.19 in the 100 best holiday destinations in 2014. 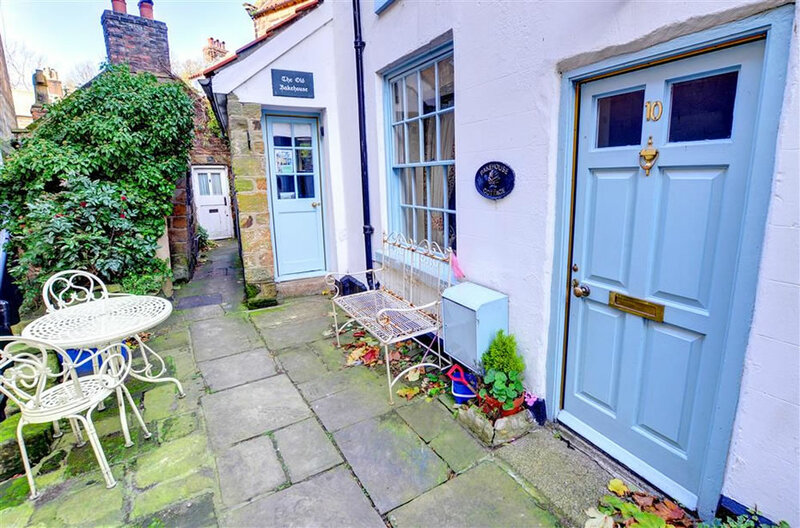 Chosen for its charm and character and location in Yorkshire’s favourite fishing village. 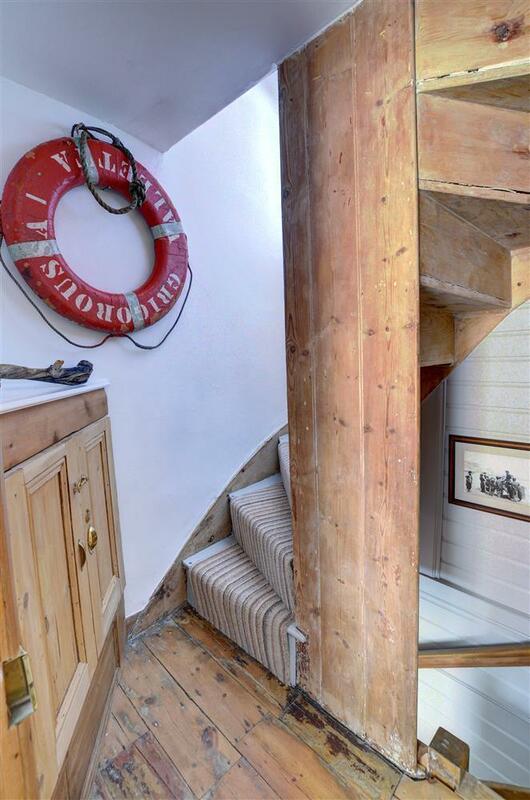 A whitewashed former bakehouse on a cobbled walkway called Sunny Place, deep in the laberinth that is lower “Baytown”, you enter trough a small blue front door to reveal a high vaulted kitchen bedecked with baking artefacts, a wooden floor (good for those muddy boots and paws).Explore further to the lounge with wood burning stove and seaside stuff like nautical lamps. Two huge leather sofas ideal to chill out on. On the first floor is a double room with feature bed and old fireplace. 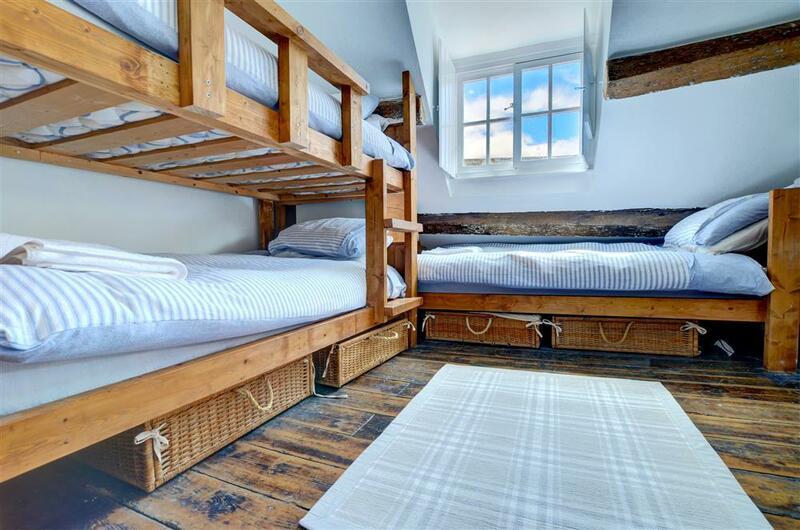 The dressing area has room for a cot.This cottage is ideal for kids to explore and when they find their room right at the top it’s a real treat of cabin style bunk beds, warm feather douvets and their own DVD and TV. A blessing today is WiFi and thankfully this cottage has a fast service which keeps everyone happy. All three, open every day, have the same great Yorkshire Pub feel, untouched by progress ( no tavern table style here!) Good real ale and charming staff. OK, the prices are a bit tourist led, but who cares, you’re on holiday. The Laurel has a kids room which enables the bar to remain kid free- so everyone’s happy. Dogs will always get a hearty greeting here. Owners will find great beer but no food. All in all, this is a wonderful place to relax in front of a roaring fire. It is supported by CAMRA and the Good Beer Guide. The others welcome people and dogs of all ages, all the time. Dolphin: Dogs allowed in the lower bar area while food is being served (till 8.30pm) and throughout after that. Fantastic hosts. Simple pub grub, always good range of guest beers. Staff local and very friendly, children and dogs welcomed in all public areas. Regular folk evenings,during Whitby Folk week every afternoon folk music, tales and shanties. Bramble wick is fabulous, a great husband and wife team run this cosy quality restaurant. It serves great coffee and lunches too. Best Coffee in the bay is also at Swell which also serves up great bacon cobs. Breakfast can also be found in a number of restaurants The Old Bakery by the stream and another at the top of the hill. As a change the Victoria Hotel is a great place for dinner or breakfast. Visit England has awarded The Old Bakehouse its prestigious Gold Award for 2017 and given us a 4 star rating!